Clean Freak San Antonio specializes in bringing affordable custom house cleaning services to you. We offer service on a weekly, biweekly, triweekly, monthly or special occasion basis. You will always get professional service at a reasonable price. Having someone in your home is a concern for many people. Clean Freak San Antonio is conscious of that fact and does its utmost to put your mind at ease. We are committed to having the most trustworthy, professional manner in the house cleaning business. Locating the right professional San Antonio house cleaning service does not have to be difficult. Reach out to us by phone, email or fill out the form below and let us know how we can help you. Take care, be safe and remember, Contact Us To Clean For You So You Can Focus On What Is Most Important…Your Family! With Clean Freak San Antonio, you never have to worry about whether we will show up on the appointed day. If we are sick or unavailable, we will send a back-up team member to ensure your home is cleaned on schedule. Clean Freak San Antonio is a loyal, local service business, who understands your hectic daily schedule. We want to relieve the stress for you, so you can focus on what is most important…your family. Because it is bonded and insured, you get peace of mind with Jeslyn Maids. Individual house cleaners typically do not carry such protection. When you choose Clean Freak San Antonio you immediately have access to our professional service ready to assist you when you need us. 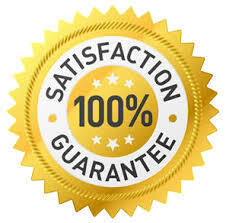 Clean Freak San Antonio is honest and trustworthy with quality references. You can enjoy a clean home, without worries. Clean Freak San Antonio is pet friendly, guaranteed. Come home to a clean home every day and have more time to do the things you want to do.